Subtle off-whites, which provided many interior designers with a safe blank-canvas to scheme from, are now being pushed aside in place of powerful colour that's packed with personality, bold and confident. Individuality within interior design is of course directly linked to personal taste, which as we all know; is objective. Taste is defined by an individual’s personal and many ways cultural choices or preference, which allow us to draw distinctions between styles, objects and works of art; judgements which define from a personal level whether something is beautiful, luxurious or perhaps the opposite. Much like during the 1970’s and 1980’s, the tumultuous and uncertain times that we’re living in politically, socially and environmentally, are directly affecting how we relate to our homes and what we require from them on sensual level. We require a feeling of carefree abandon, familiarity, certainty and most importantly a sense-of-self; all of which is challenging our own personal preconceived ideas of taste. Elle Decoration are aptly calling this new design perspective ‘Happy Design’ and we’re in agreement. After all, life is short and so mindfully curating the spaces where we spend our most valuable time, making the most out of them, is important. We should feel at ease with ourselves in our homes and stamping our own personality throughout is undeniable factor in achieving this. Embracing pieces with sentimental value, whether a valuable heirloom or irreplaceable momemoto is an easy place to start and great source of inspiration for a scheme as a whole; often packed with hint of humor and an abundance of positive energy. Being bold and brave with colour exudes confidence, providing a sense of joy as well as forming a personality within a space. 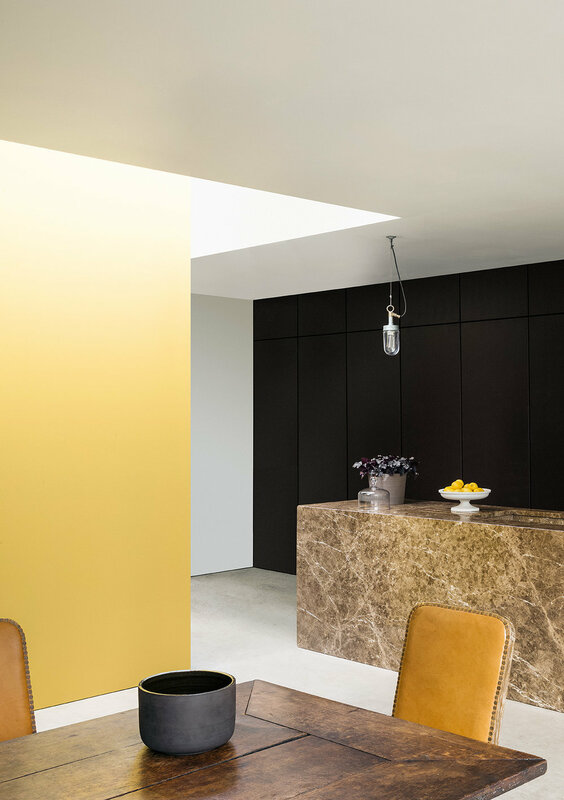 Utilising creative colour combinations provides spaces which are steeped in atmosphere, not just within a singular space but throughout a home. Cleverly concepting hues which flows together and implementing them through various adjoining spaces not only provides consistency but also sets the tone of a home. Colour can be applied literally anywhere, coloured kitchens are great example where personality can be injected through unexpected details such as worktops and tiles or even taps (Vola stock some exuberant options). Kitchens cabinets don’t necessarily have to conform to tradition either, various complimenting colours can be used on individual doors for a look which is cohesive, packed with personality and again unique to the client. We regularly commission truly considered artworks to curate spaces which provide the feeling of a living art gallery, carefully positioned, much like colour, to link contemporary spaces which feel evolved, packed with soul and a real sense of confidence. 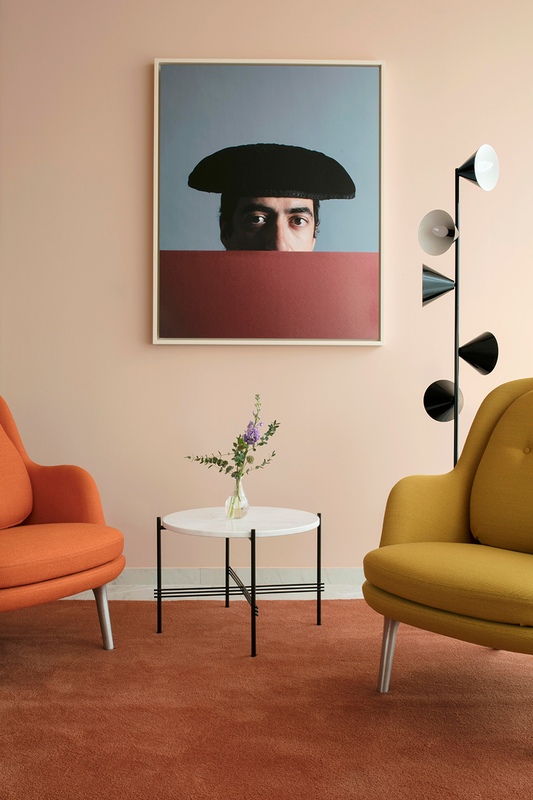 Bright and bold colours are not reflective of everyones personality, for a more understated and relaxed vibe, earthy neutrals are now considered to be the foundation palette to work from. Unlike the endlessly used off-whites, they're warm and embracing, resonating most in times of uncertainty as warmer hues are found lowest on the visual spectrum, providing calming effects; indigo evokes purity and focus whilst violet is there to inspire and support us. 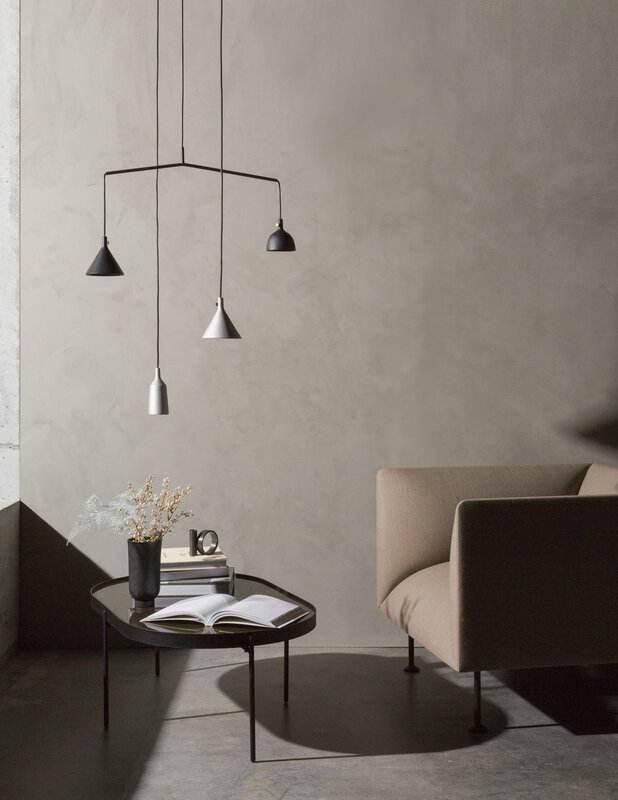 Layering tones with accents of chalky hues, complimented with natural materials such as beech wood provides an emotionally rewarding aesthetic. 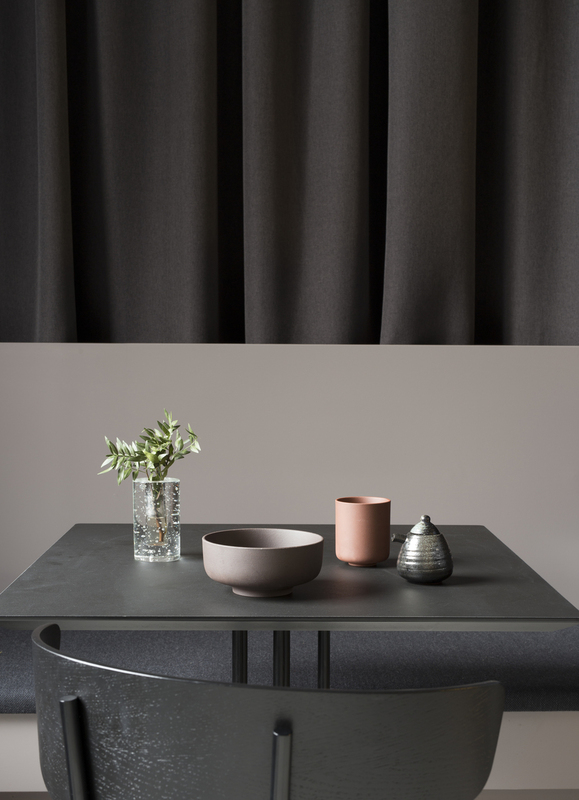 A simple coat of paint has the ability to transform a space, Little Greene and Paint & Paper Library are two luxury paint brands that we regularly specify within our projects, not only for aesthetic appeal but for the numerous health benefits eco-paint provides too. 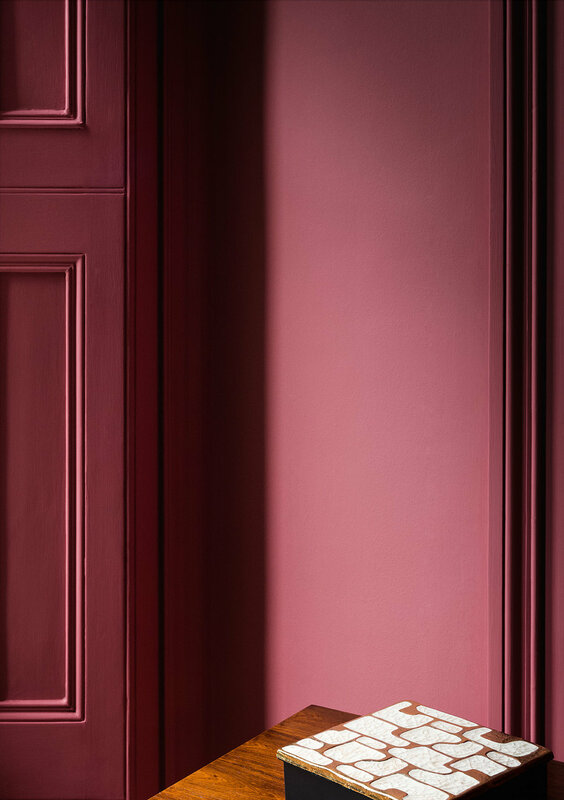 We passionalty believe that there's an importance and benefit from specifying luxury eco-paints; a product that remains creative whilst honouring our environmental responsibility. To learn more about sustainable paints click here. Most of our projects are approached in four stages; concept, scheme and detail design and installation. The concept stage is the first and possibly most important part of the interior design process. We spend valuable time curating digital concept boards which acknowledge your aspirations and offer solutions to issues within your current space. We carefully collect and edit ideas for the individual elements which will turn your space into an individual experience, rather than somewhere you simply inhabit.